Bitcoin soared past $4,000 for the first time on growing optimism faster transaction times will hasten the spread of the cryptocurrency, according to Bloomberg. The largest digital tender jumped to a peak of $4,125.17 on Monday, a gain of 15% since Friday, after a plan to quicken trade execution by moving some data off the main network was activated last week. The solution – termed SegWit2x – had been so contentious that a new version of the asset called Bitcoin Cash was spun off earlier this month in opposition, Bloomberg reports. The split grew out of the tension between growing demand for the virtual currency and some of the design features that had fueled that popularity – the decentralized verification procedures that ensured against hacking and government oversight. While this month's confrontation ended up as little more than a speed bump in bitcoin's more than 300 % rally in 2017, concerns remain around the capacity to increase transaction volumes. 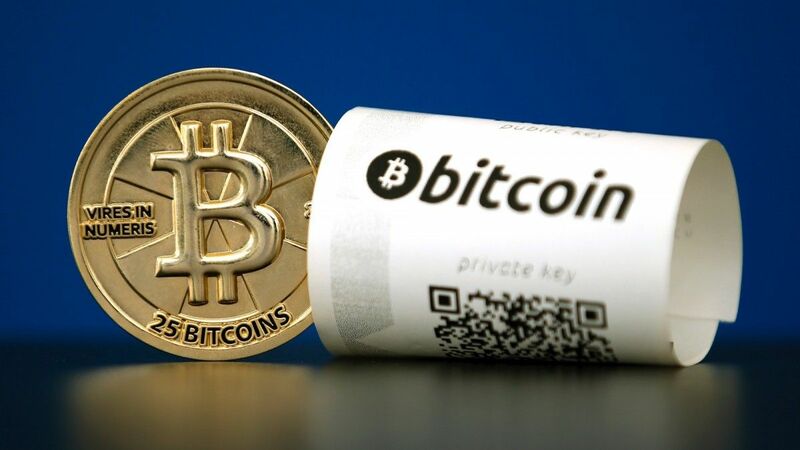 "Up until now a lot of people didn't really believe bitcoin could go any higher until the scaling issue is resolved," said Arthur Hayes, Hong Kong-based founder of bitcoin exchange BitMEX. "With this actually being implemented on protocol, theoretically the amount of transactions that can be processed at a reasonable speed is going to be much higher, so a lot of people are very bullish about bitcoin now." Because of a cap on the amount of data processed by bitcoin's blockchain, transactions started to slow as its popularity boomed. The community was then divided between the SegWit2x solution backed by a group of developers and another supported by miners that sought a larger increase in the block size. The latter then became Bitcoin Cash. Read alsoBitcoin breaks $3,000 to reach new all-time high – mediaBitcoin Cash, whose price has retreated since peaking right after its birth, has neither disrupted its progenitor's operations nor undercut its appeal. While SegWit2x has garnered enough support for activation, challenges remain. Its next stage involves doubling the block size to 2 megabytes some time in November, a possibility that's still mired in debate. Reduced support could thwart this step, with some arguing that Bitcoin Cash – with a block size of 8 megabytes – has obviated the need for another "hard fork" to upgrade the bitcoin again, Hayes said. The cryptocurrency's staggering price surge has bolstered related businesses. Digital currency exchange Coinbase Inc. announced Thursday it's received a $100 million investment. The supply of bitcoin is capped at 21 million, compared with 16.5 million that had been mined as of Saturday, according to blockchain.info. "People are starting to price in the consumer demand from Coinbase's $100 million fund-raising round," said Justin Short, London-based founder of trading platform Nous. "That's a lot of advertising budget. Every $1 million of marketing brings new demand, which increases the price as the supply is limited by design."